Safety Alert :: Women & Children's Horizons, Inc.
Computer use can be monitored and it is impossible to completely clear from your computer's history. If you need to exit quickly click the 'quick escape' button. 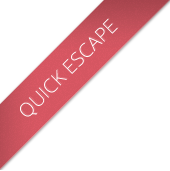 The quick escape button can be found at the top and bottom of each page on this website. If you are afraid your internet and/or computer usage might be monitored, please use a safer computer or call our hotline 1.800.853.3503. If you are unable to use a safe computer, please see the information below for some basic tips on how to remove the more visible history on your computer. Use a safer computer that your abuser does not have direct access, or even remote (hacking) access to. Public library, at community center, at a friend's house or an Internet Cafe are some locations that will be safer than your home. Computers, browsers, and other software programs store history about what you have done, what documents you have used, what web sites you have visited, what images you have seen, and other activities. All History is stored in your hard disk. Both your browser and computer keep tracks of your computer and Internet activity. It may be impossible to completely clear this stored information from your computer. If you think your computer activities are being monitored, they probably are. Abusive people are often controlling and want to know your every move. You don't need to be a computer programmer or have special skills to monitor someone's computer activities - anyone can do it and there are many ways to monitor your computer use. Browser history, forms AutoComplete, address bar history, search history (Yahoo search history, Google search history, etc), toolbar search history, index.dat files content, index.dat files, browser cache (Temporary Internet files), stored passwords and cookies are files that store your history tracks. Email is a not secure or confidential means of communication. Changing your access passwords may help to keep an abuser from gaining access to your email. Calling Women and Children's Horizons might be safer. Web Browsers keeps copies of the Web pages that you visit. It is called caching. Information is kept on your hard drive. You can access those settings to delete cached files. Web browser also tracks addresses of the Web pages that you've visited. You can manually clear different tracks of Internet activity in Internet Explorer, Netscape, Mozilla Firefox, Safari and Opera. So, if your partner checks and sees that the cache and the history list have been completely emptied, he/she will not only know that you know how to do this, but he/she might guess that you're trying to hide something. The best place to get information about clearing your cache is in your Browsers help menu. Also you can search the internet to find how to clear your cache. After you have read these instructions and understand what to do, please close your Internet browser. Restart your browser and then follow the instructions to clear your cache making sure that you are not currently on the Women and Children's Horizons web site. * Open the Tools menu. * Click Delete Temporary Internet Files. * In the Options window that appears, select Privacy. * Next to Cache, click the Clear button, and then OK.
* Open the Edit menu. * Click on the + next to Advanced. * Click Clear Memory Cache. * Click Clear Disk Cache. * Choose Preferences from the Edit menu. * Choose Advanced from the Web browser heading on the left side. * In the Cache section, click the Empty Now button. Click OK to close the Preferences window. * Next, click the Go menu from IE's menu bar and choose Open History. * Holding down the shift key, select each of the pages that pertain to Yahoo! from the current day's history. * Release the shift key, and drag the selected items into the trash. * Close the History window and empty the trash. * Choose Preferences from the Explorer menu. * In the Cache section, click the Empty Now button. * In the History section, click the Clear History button. * From the sheet that drops down, select Privacy. Next to Cache, click the Clear button, and then OK.
* From the edit menu select Private Browser. You will get a pop-up window. Click Yes. Once you have closed out of Safari, private browsing is discontinued immediately. Each time you log on to safari, make sure you select Private Browser. * Click on Choose Preferences from Safari menu. Select Security icon, press Show Cookies button. Select the Cookies to be deleted from the list. Press Delete button. DO NOT choose the 'delete all' button as this may raise suspicion from your abuser. Traditional ''corded'' phones are more private than cell phones or cordless phones. REMEMBER! 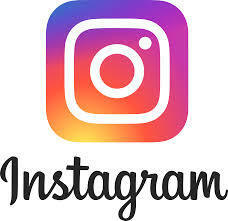 Taking all of the actions on this page may not prevent an abuser from discovering your email and internet activity.